4.8 Out of 5 Average Rating | 76% of reviews would recommend this product. [value] => To say That ithis rug is absolutely beautiful is an understatement, it is true pure white. We put a rug pad up under it so it is extra soft and plush. It has a really brightened up our family room. We get so many compliments on it, we paired it with a gray leather sofa and love seat. [value] => To say that the beautiful is an understatement it’s so pretty, pure white and also soft. 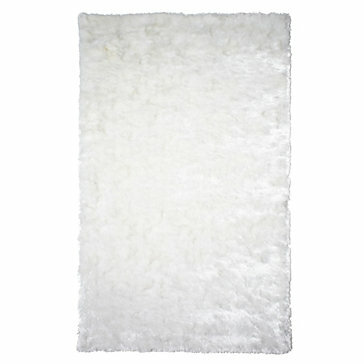 We purchased it for our family room because we wanted a glam look but also wanted a nice bright white rug to brighten up the place. It’s absolutely beautiful you will not be disappointed it does not shed and does not have a smell it all!!!!!!! Highly recommend and satisfied!!! 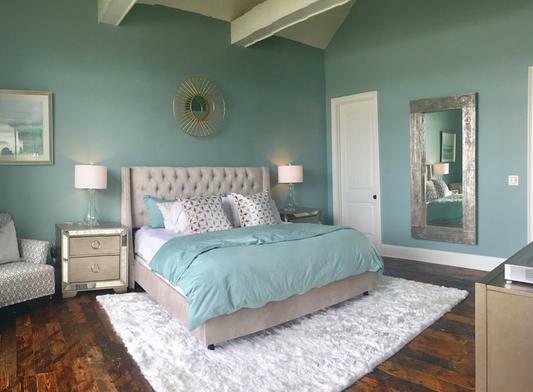 [value] => We have this rug in silver gray and it's soooo soft on your feet. You will love running your toes through it. Promise!!! I'd buy it again in a heart beat! [value] => I just received this product, and I really like the look and feel. I ordered the white color. It has not shed much so far. The texture looks like snow to me. I wish I had ordered the 9x12 since it looks so great. It does have a strong chemical smell initially. It takes about 1-2 weeks to totally dissipate. I would definitely buy this product again! To say That ithis rug is absolutely beautiful is an understatement, it is true pure white. We put a rug pad up under it so it is extra soft and plush. It has a really brightened up our family room. We get so many compliments on it, we paired it with a gray leather sofa and love seat. To say that the beautiful is an understatement it’s so pretty, pure white and also soft. We purchased it for our family room because we wanted a glam look but also wanted a nice bright white rug to brighten up the place. It’s absolutely beautiful you will not be disappointed it does not shed and does not have a smell it all!!!!!!! Highly recommend and satisfied!!! We have this rug in silver gray and it's soooo soft on your feet. You will love running your toes through it. Promise!!! (It had the added surprising benefit of camouflaging our small dogs accident -just one - which was good because the rugs shaggy texture makes it a little difficult to really clean beyond vacuuming.) I'd buy it again in a heart beat! I just received this product, and I really like the look and feel. I ordered the white color. It has not shed much so far. The texture looks like snow to me. I wish I had ordered the 9x12 since it looks so great. It does have a strong chemical smell initially. It takes about 1-2 weeks to totally dissipate. I would definitely buy this product again!